Awards? I love awards! | Wie sagt man...? One time, when I was in the Girlscouts, I won a glass snowman filled with Rolos. We had to guess the number of Rolos in the snowman and whoever was closest won. This marked the peak of my math skills (both in terms of ability and utility) since I did a quick count of how many Rolos I could see on one side of the snowman and multiplied by 4. * It certainly paid off. That’s the last time I can remember winning something. Why bring this up now? 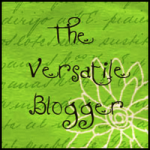 I’ve been given not one, but two nominations for the Versatile Blogger Award. I’m not totally sure what this means or what I’m supposed to do, though I can say for certain that I’m glad that people are reading along and enjoying what I write about. And, it might be hard to imagine, but living this life of luxury in Europe (go on, say “Europe” with that lovely transcontinental accent) isn’t always as carefree as it sounds on paper. My weeks consist of exactly 3 hours of dancing around like a non-German-speaking monkey in front of my English students, and then recuperating my dignity over the course of 7 days so I can do it again next week. In between, it’s a lot of writing and research and very little talking to people, so it’s nice to connect with people here. 1. I used to think that the Queen of France lived in the Hartford capital building. To my credit, it IS the most attractive (or least visually-offensive?) building that you can see from that stretch of highway. 2. I’d really like to learn how to spin my own yarn. 4. This doesn’t really bear explaining, but I dream about Chipotle. I really just started salivating when I typed out “Chipotle”. Mmmm. *Not cheating. Possibly gaming the system. Damn, those Rolos tasted good. **I didn’t. Long story. Disappointing day, too. 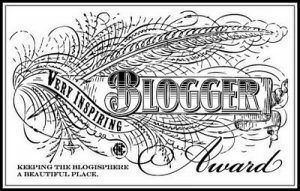 In a future post, when I have more time and have had more coffee, I will also nominate some of my favorite bloggers for the same award. In the meantime, we are taking advantage of Himmelfahrt and heading off to the Hague today. (You know how I am about my war crimes trials).